I’m the unsung worker of Alpharetta. I spend eight or more hours each day within the confines of a fabric covered box. I’m a cubicle dweller and I built this city. On what do I toil? I’m the software architect at Alcatel-Lucent. Maybe I’m the database administrator at Lexis-Nexus who combines billions of bits of data together. Or how about the smartphone developer at Research in Motion working on the latest mobile technology? Perhaps I’m staying up late in the data center at eTrade or TSYS insuring that billions of dollars in financial transactions complete without a hitch. A generation ago the sleepy town of Alpharetta put into works a plan to bring me here. Using a technology few had heard of at the time, this small town installed miles of high-speed fiber optic cable. If the internet is a series of tubes, Alpharetta built a tube 60% fatter than the typical. My future boss took notice and moved operations here. But Alpharetta’s investment didn’t just attract those in the information technology field. I could be the quality assurance engineer at McKesson testing digital medical records or the biotech scientist at Centocor Ortho. Maybe I’m in the financial industry. I could be the project manager at ADP who handles your payroll or the statistician at Equifax grinding numbers on the latest credit trends. I could be an actuary at New York Life or Traveler’s, surely the life of any party. Perhaps I don a headset and work in the call center at Verizon or Vesta. I’m the guy that keeps scores of restaurants on Windward and Old Milton crowded at lunch. And at the end of the day my SUV sits in traffic on GA-400 headed to my home on a cul-de-sac or to baseball practice. It’s almost a certainty that I didn’t grow up here. No I’m the guy that relocated to follow opportunity. I might be right out of a top engineering school or from as far away as India or China. Chances are I’ve described you or perhaps the neighbor you hardly know. There are tens of thousands like me. 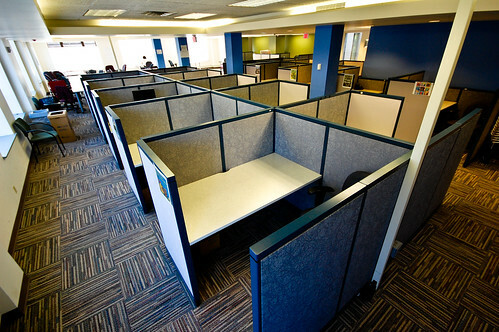 I’m the cubicle dweller and I built the Alpharetta you know today. That’s creepy that you know so much about our family.